My husband went back to work this week, which was hard at first, but now we’re getting the hang of things. I’ve realized our days are much better if we get out of the house for a bit, even if it’s just to go to a drive thru starbucks. I’ve never been one to go stir crazy being at home all day, but it’s different with a baby. We both go a little nuts staying in the house all day! After our third appointment with the pediatrician this week, we’ve decided we need to find a new one. It’s just not a good fit and if we feel this way now, it’s a bad sign. I have two interview appointments next week with new ones, so hopefully we can find someone better. Liam is staying awake for longer periods during the day, which means he’s growing up! Our best day this week was Friday, when we picked up my brother from school and went to Target, before coming home for some chill time. Liam was awake, alert, and mellow for more than an hour and Mateo was loving it! 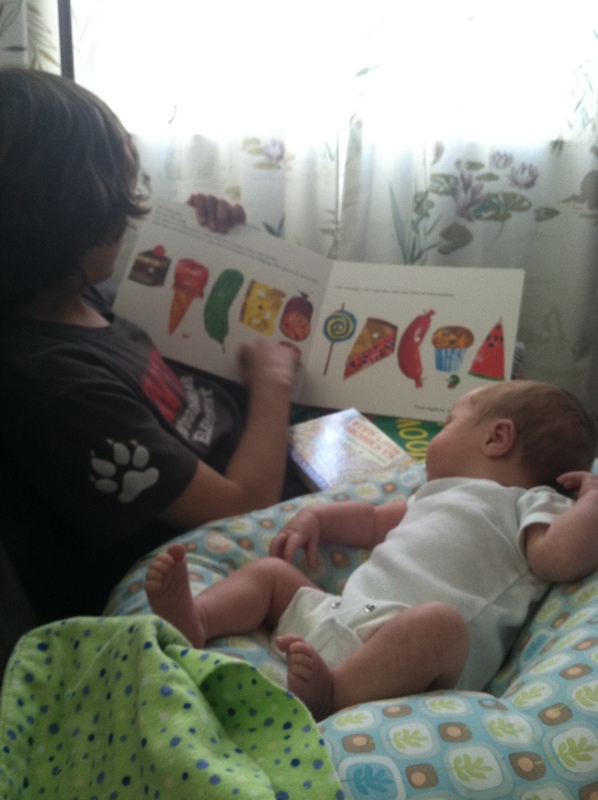 Here he is reading him my favorite book. How cute are they? I loved having my brother there to watch over Liam and I was actually able to do a few things around the house. It’s amazing how good it can feel to do my own laundry or write thank you notes without a baby on my lap. Blogging is nearly impossible, as you can probably tell from my lack of posts. I can’t promise it’ll improve, either, so bear with me while I struggle to find a balance. I am still posting daily over at Life with Liam, so check there for daily baby photos. Mateo LOVED being over there and hanging out with Liam. Awww he’s adorable! Good luck finding a pediatrician! 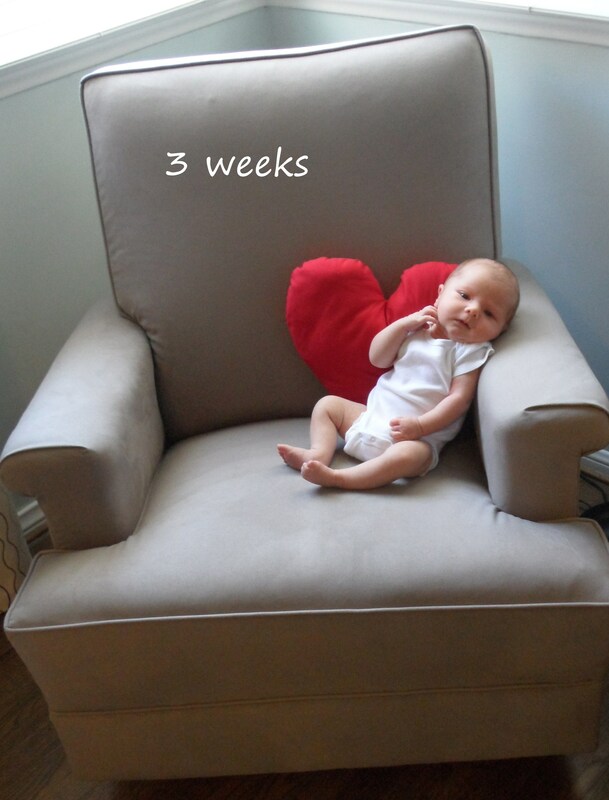 We have gone through three with my daughter. It’s hard because you see them so often with a new baby you want to make sure you feel very comfortable with them. If you find a good one let me know! We started going to one here in the Valley (our previous pedi is in Santa Monica) but we are not completely sure they are the right fit. I need to start searching and interviewing soon too before our baby boy gets here.